The quartet will perform at the GrandWest Grand Arena on Wednesday, 8 February, at the Carnival City Big Top Arena in Brakpan on Friday, 10 February. The group, first formed in 2004 by reality TV guru Simon Cowell, consists of French pop singer S�bastien Izambard, Spanish baritone Carlos Mar�n, American tenor David Miller and Swiss tenor Urs B�hler. The foursome was selected by Cowell following a worldwide talent search. Il Divo has since amassed an impressive array of accomplishments, nominations and awards which include worldwide sales of 26-million albums and over 150 gold and platinum awards in 33 countries. In 2011 they were named Artist of the Decade at the Classic BRITS Awards ceremony. 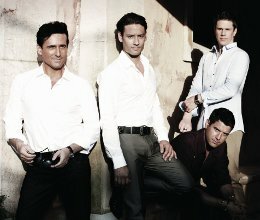 In keeping with Il Divo�s multinational identity, they perform in English, Italian, Spanish, French and even Latin. In November 2011 they launched their much anticipated album Wicked Game, and songs from the new album will be included in their shows. Tickets for the Il Divo and Orchestra in Concert world tour are available from Computicket from R375 for the GrandWest show and from R320 for the Carnival City show. All shows start at 20h00 and doors open at 19h00.